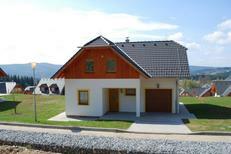 A holiday house at Lipno Reservoir costs on average USD 617 in the cheap travel period and USD 947 in the peak season per week. These details are of course in relation to the house and not per person as well as includes the obligatory additional charges. 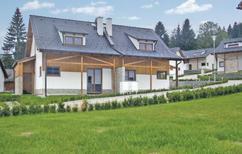 TUIvillas.com, a reliable holiday rental provider, will be sure to help you plan the perfect vacation in a holiday home at the Lipno Reservoir. 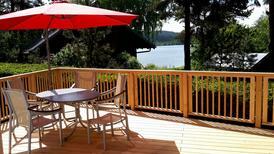 Why visit the Lipno Reservoir? The Lipno Reservoir, created by the largest dam in the Czech Republic, is a giant lake in the stunningly beautiful countryside of Bohemia. 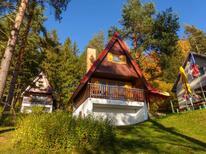 Lipno’s peak travel season is during the summer, with many different activities available. 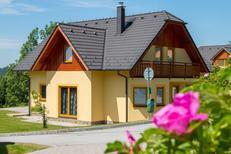 One of the many summer resorts in the region, such as Cerna v Posumaví or Frymburk nad Vltavou, will provide everything you need to enjoy your vacation. 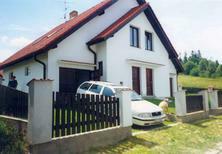 With many exciting excursions available at Lipno, you’ll never struggle to find something to do. As the lake provides a wide range of watersports such as swimming, sailing, or windsurfing, there is always something to get the heart pumping. For a more family-friendly time on the water, consider renting a pedal boat or a catamaran and have a relaxing ride on the lake. On land, take the kids on a bike ride along one of the many cycle routes. Lipno also boasts one of the most popular and unique attractions in the Czech Republic, the Treetop Walkway, where you can follow a walkway that takes you from the forest floor to the treetops. The climb isn’t too taxing, thanks to the gentle incline of the ramps leading to the top. Once you’ve reached the top, take in the breathtaking view before riding a toboggan back to the ground. 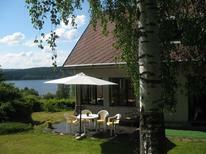 An experience not to be missed while enjoying your vacation in a holiday home at the Lipno Reservoir! Why book a holiday house through TUIvillas.com? TUIvillas.com provides a reliable service perfect for booking that ideal apartment or holiday house. Whether it’s relaxing on the beach or family excursions you’re looking forward to, you can trust TUIvillas.com to supply you with plenty of high-quality holiday rentals from which you can enjoy the lake view.